In 2014, Cape Town received the esteemed status of being recognized as the World Design Capital, known as the mother of all queer parties and home to it's own edition of fashion week, which takes place in March every year. In 2014, Cape Town received the esteemed status of being recognized as the World Design Capital, known as the the mother of all queer parties and home to it's own edition of fashion week, which takes place in March every year. The Mother City is notably the creative capital of South- Africa and houses internationally acclaimed fashion labels such as Margot Molyneux (www.margotmolyneux.com, @margot_molyneux), which is a local fashion brand producing minimalist inspired seasonal collections and South- African street wear brand Sol-Sol by Mathew Kieser (@solsolmenswear, www.sol-solmenswear.com), which specializes in "making good quality basics with focus between fit, fabric and design". The city's fashion culture is vibrant, eclectic and captures the zeitgeist of its multi-culturism and artistic expression. The city's locals have a distinct fashion sense, influenced by hipster subculture with hints of dandyism and androgyny, they embody eccentricity and are known to be trend-setters of note. This can often be spotted in the cities pulsing night life at the vibey hipster bar and restuarant Yourstruly (@yourstrulycafe) located at the doorstep of Once in Cape Town. This modern fashion era is characterized by self-expression and breaking the limitations of gender in the arena of fashion, amongst other things, in true millenial style, individuality is the order of the day. The quintessential Cape Town fashionista values the eternity of style over fleeting mainstream fashion trends. This is not to say that conventional fashion trends have no influence in the assembling of different looks, however trends are seen as transient, fading with time and culture. In the words of French fashion designer, Yves Saint Laurent "Fashion fades but style is eternal". Cape Town fashion culture has considerably evolved and draws inspiration from African cutural practices and spirituality; influencers like South-Afrian creative art director @trevor_stuurman and style maven @kwenasays have successfully positioned themselves as curators of African culture and identity through fashion and photography. We are indeed experiencing refreshing times with the rebirth of the 1960's minimalist movement gracing street run ways in an elegant blend of monochrome colors and androgynous tailoring. Cape Town fashion has also been used as a powerful tool for challenging socio-economic and environmental issues. Local fashion designer Gavin Rajah (@gavinrajah) and UNICEF Goodwill ambassador has successfully used his brand to raise awareness around child related issues and other social problems. The LGBTI community has significantly impacted the way we engage with fashion and aesthetics, and has been at the forefront of advocating gender fluidity in fashion. The cities thrift store buying culture (check out my previous blog post: 10 commandments of thrfting in Cape Town) amongst young people has encouraged sustainability which has influenced the purchasing decisions of many South- Africans. This new wave of fashion is founded on buying and exchanging second hand clothes, sourcing local fabrics with the goal of reducing the harmful impacts of clothing production on the environment. It is without a doubt that the Cape Town fashion scene is a melting pot of cultural diversity and satorial elegance which can be experienced through prestigious events like the African Fashion International Cape Town fashion week (@afi_sa) and Bokeh International fashion film festival (@bokehfff) which are annual events celebrating world class fashion, design and technology. The growing trend of fashion tourism remains one of the top contributors to South- Africa's economy as more people travel to learn, enjoy and consume the cities fashion which has been beneficial in attracting international investors. The Mother City's fashion scene reflects the lived experiences of it's people and is interwoven and expressed through their style and fashion sense, and stands as a creative force to be reckoned with. Come through to experience it at the heart of the bustling and fashionable city. Amy Ayanda Lester is a Cape Town based multi-media artist, who makes tote bags and women's wear, she runs a home based studio in Plumstead, Cape Town. Her brand is founded on minimalism and sustainablity. 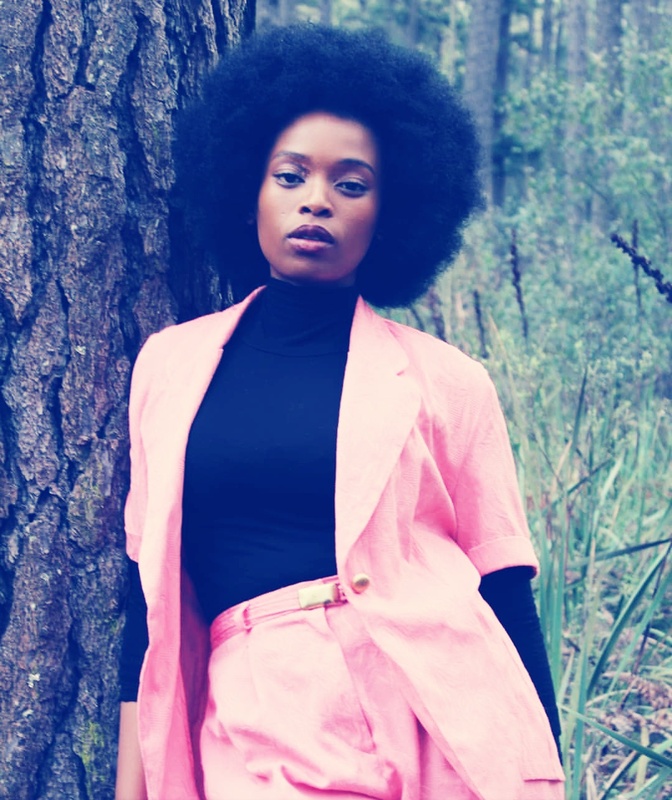 This local design boutique specializes in ready to wear outfits made by local South-African designers. Mememe embodies femininity and prides itself in women's fashion. Founded in 2008, Mungo and Jemima is all about exclusivity and quality, this fashion boutique showcases some of South- Africa's top fashion brands. AKJP is a trendy concept store located on Kloof Street, this store is not only located within a stone throw from Once in Cape Town, but also specializes in street style inspired looks from South-African fashion designers. Known as one of the cities premuim luxury brands. Thalia Strates creates custom-made leather bags and accesories. This brand is founded on sustainability and slow fashion.